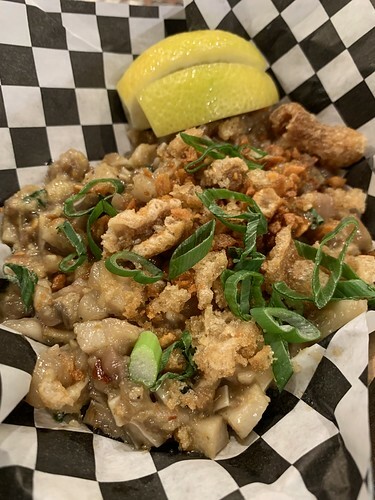 There's also sisig, a specialty from Kapampangan, the region in the Philippines where the family is from. It's tangy pork dish, which traditionally is made with parts from the pig's head. In the US, though, you'd typically find it made with pork belly. At Mambo it's made with pig ears and pork belly - I'm personally a fan of pig ears so of course I liked this one. 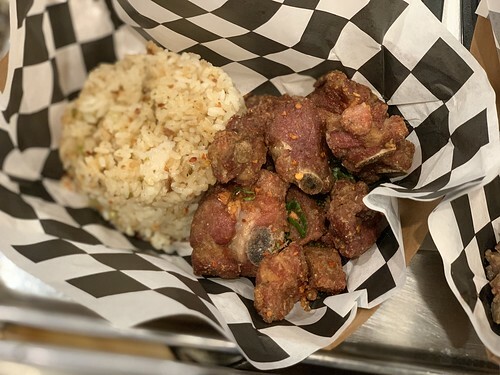 Besides Filipino food, Raymond also put son the menu other dishes he's enjoyed cooking for his family throughout the years. He tried fried spare ribs in Hong Kong and started tinkering with replicating it. I was pleasantly surprised, the ribs tasted what I would expect to get at Hong Kong cafes. 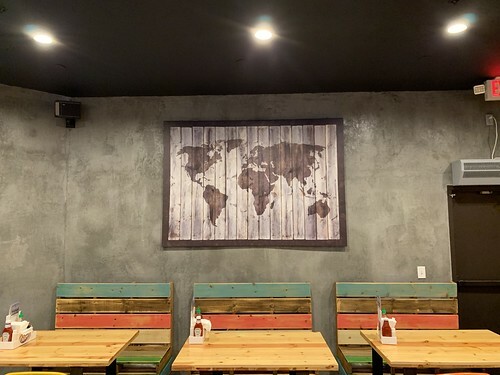 As I mentioned, Mambo has tacos and they're going fully international with these. 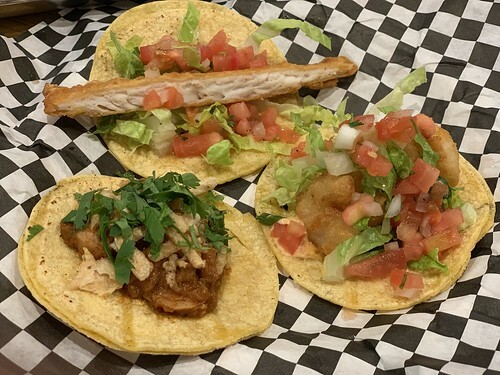 There's chicken tikka masala taco (you can also get the tikka masala on rice and has gotten good reviews from customers), fried fish taco (the English "fish and chips"), a banh mi inspired taco with sweet pork, pickles, hoisin, and chicharron. I liked the tikka masala and the banh mi taco, as well as their vegan truffle infused mushroom and corn taco. 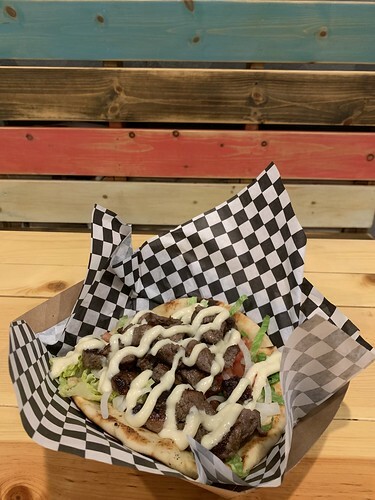 There's also a beef kabob pita wrap, which is Raymond's own current personal favorite. I had to try the Ube S'mores. It's ube on top of a pie crust and then topped with toasted meringue. 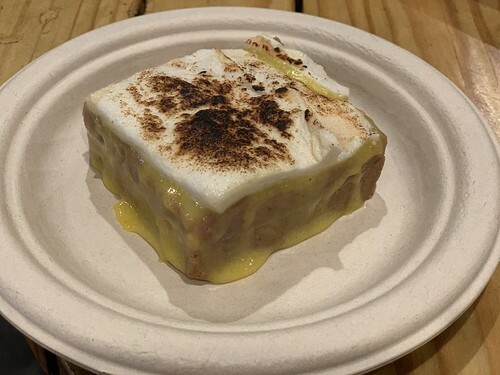 It's an interesting dessert that's worth a try! 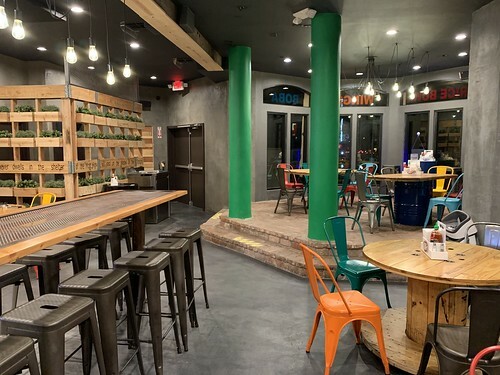 There's still not that much restaurant options in the north part of San Fernando Valley. 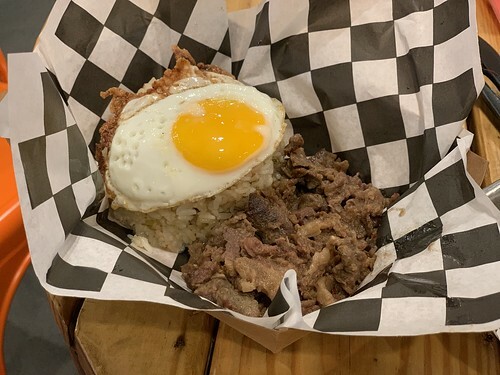 Mambo International Kitchen offers a unique and fun dining option for the locals in the neighborhood where you can try solid versions of many things from Hainanese chicken to sisig.